Are you sitting comfortably? Welcome to my series of podcasts that will help you to navigate those inevitable difficult events at work that are part of being a small business owner. 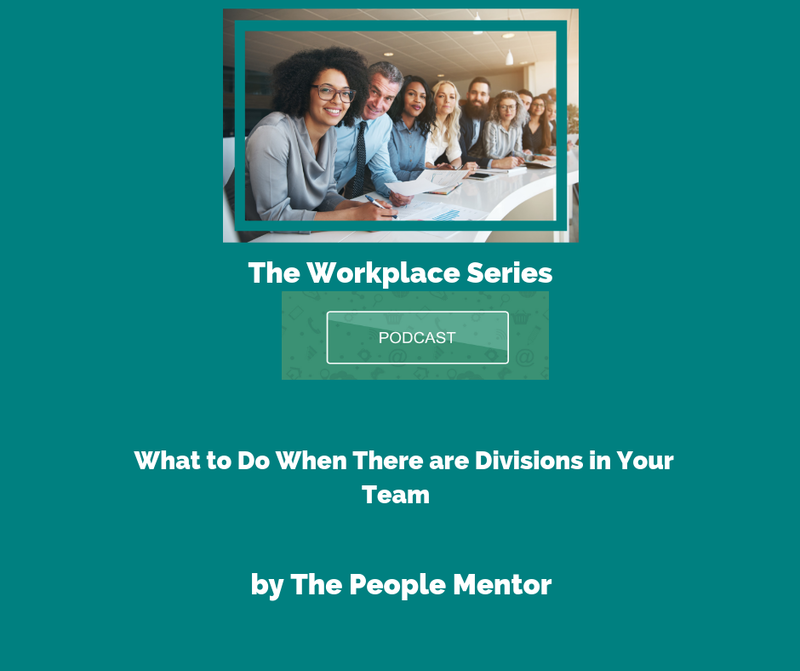 Today I want to talk about what to do when divisions appear in your work team. There’s no better feeling than being part of a team that works together. Shared goals are the bond and the glue that holds it all together is mutual respect and collaboration. But the fact is, your team is made up of people who have different personalities, different levels of experience, and the come from different backgrounds. And while these differences can bring a lot to a business in many ways, when these differences become divisions, this is a problem. Whether your team has divided itself up into younger staff versus older staff, or sales staff versus techie staff, there’s a danger of an ‘us versus them’ mentality developing which can harm the business. Both sides do important jobs but this is often not acknowledged and groups can end up working against each other instead of working together to meet business goals. So why do these divisions occur? Because of something known as ‘in-group bias.’ Simply put, people tend to feel they have more in common with people who are the same age, or from the same background. Any shared characteristic can make people feel more positive towards members of their own group. We know divisions occur, but are they always a bad thing? Rivalry and healthy competition can be positive when it drives performance but when it’s unhealthy, it can create a feeling of mistrust between groups. Research has shown that teams with clear divisions are inherently more problematic. Are divisions apparent in your business? Then you need to take a good hard look at your culture. If the culture was strong, the sense of belonging and the desire to work towards a shared goal would be stronger than the desire to divide into a subgroup. Something needs to change. So how can you change your culture? Well it doesn’t happen overnight. Cultural change is a process, which itself is subject to change and constant modification. Here are some tips to help you introduce cultural change so that there’s a sense of unity, mutual respect, and collaboration. Ask for help if you need it. You might need to hire a business consultant who is experienced in helping business owners introduce cultural change. It really helps to have someone looking from the outside in and they’ll help you pin down why you want to introduce change, how you are going to do it, and what support you’ll need. Next, rallying people against an external threat, enemy, or challenge can bring divided groups together and makes it more likely that they’ll get behind any changes you’re proposing. Tell your team that you expect everyone to work together, and while this might not always be easy, it’s necessary for the overall health and profitability of the business. Engaging people in the process is essential. Organise workshops or meetings where people from different subgroups can come together. Ask them ‘how can we build a strong team? Talk about the culture and ask them what they think is positive and what could be improved upon going forward. Get them thinking about what needs to happen to get everyone moving in the same direction. Next, make sure that once plans are implemented, that you continually measure progress. Celebrate the wins, no matter how small. Did the tech person and the salesperson come up with a great idea together? Did the younger employee and the older employee compromise on the best way to do things? Celebrate these things! Remember that there may be people who aren’t keen on engaging with the process of positive change. Maybe they believe so strongly that they are right and their way of doing things is better, or the divisions suit them more for some reason. You need to have a conversation with them. You need to tell them what your hopes and expectations are for your team and for the overall business, and that you won’t accept anything less. And if divisions continue, take a look at yourself. 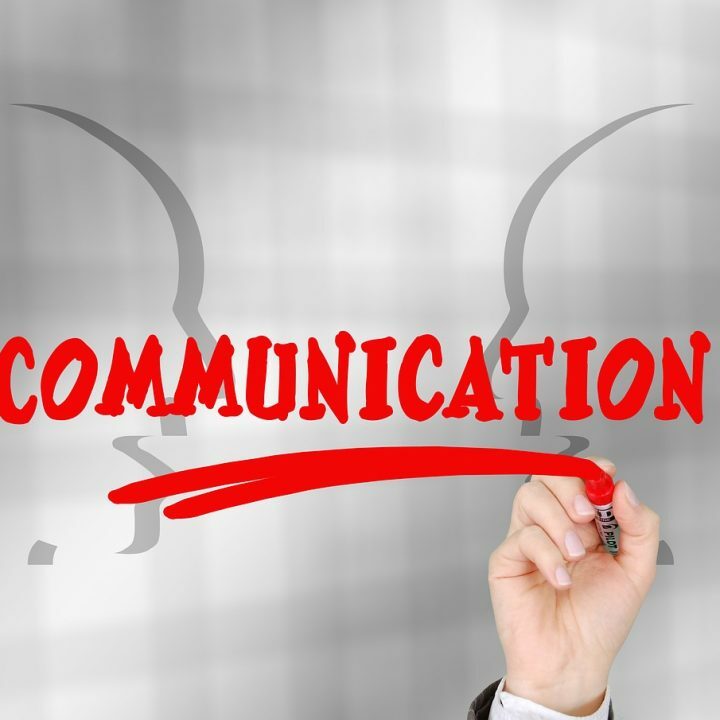 Are your actions as a business owner reinforcing a desire for collaboration or are they driving divisions? You should always lead by example. If you want people to work together, your way of working should constantly promote that. Involve everyone, engage everyone, and listen to other people’s opinions. Finally, it’s hard to balance personalities, backgrounds and preferences in teams but it is possible. Diversity brings creativity, innovation, and a wider range of skill sets to your team. The key is harnessing this diversity and making it help not hinder your business. Work with your team to create a culture where different ideas and opinions can be brought together and used for the good of the business. It is possible to be different while wanting the same things.